I'm a firm believer that every once in a while you have to switch up your hair care. I swear I notice an immediate difference when I do. 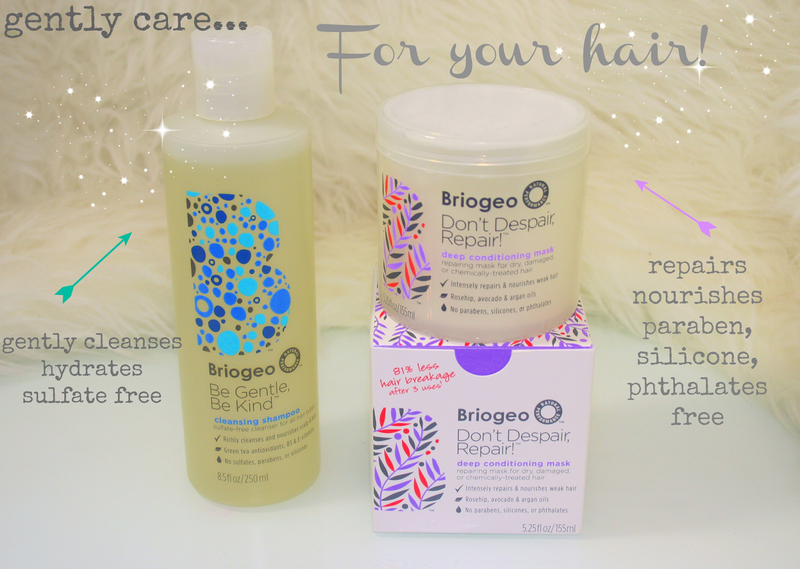 Luckily, the sweet peeps over at Briogeo must have known that it was about that time when they decided to send some of their 'hair must have' beauties my way! I immediately sampled their Be Gentle Be Kind Sulfate free shampoo and Don't Despair, Repair Deep Conditioning mask. The thing with my hair is that I know immediately upon contact whether a product is a good match. These beauties passed with flying colors! The shampoo left my hair feeling soft, hydrated and smelled incredible! I also love that Briogeo is made right here in the US and their products contain at least 95 percent natural and naturally derived ingredients. I enjoy using a good mask on my hair at least once a week. You see, my hair is thick and quite unruly so I find that hydrating it weekly helps immensely. The Don't Despair, Repair Deep Conditioning mask works wonders on my locks. I swear my hair had extra bounce and life after just one use. This intensely nourishing beauty had my hair smiling for days! So lets chat... have you tried Briogeo? Which product would you most like to try? This sounds great! Haven't tried anything from them before, but I'll have to keep a look out.